The trailer and poster for Baz Luhrmann's adaptation of F. Scott Fitzgerald's classic The Great Gatsby have debuted online, the trailer can be seen below. The film stars Leonardo DiCaprio, Tobey Maguire, Joel Edgerton, Carey Mulligan, Isla Fisher, Jason Clarke, Elizabeth Debicki and Amitabh Bachcham. 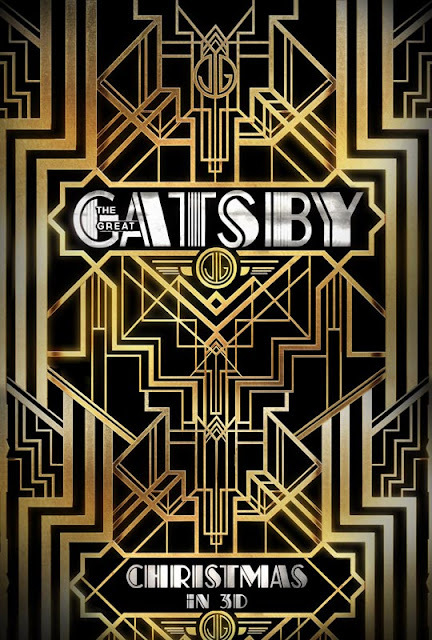 'The Great Gatsby' follows Fitzgerald-like, would-be writer Nick Carraway as he leaves the Midwest and comes to New York City in the spring of 1922, an era of loosening morals, glittering jazz and bootleg kings. Chasing his own American Dream, Nick lands next door to a mysterious, party-giving millionaire, Jay Gatsby, and across the bay from his cousin, Daisy, and her philandering, blue-blooded husband, Tom Buchanan. 'The Great Gatsby' open in theaters on Christmas day in the US, St. Stephens day for Ireland and the UK.